Places to go, things to see and do throughout Saratoga County. We've got some great ideas for your 4-day stay! Endless fun, morning noon & night draws visitors from around the world to our beautiful city. Many Summer attractions are open year round too! We're more than horses...but we do love them! Begin your day with breakfast at the track on Union Avenue. Get your fill of eggs and tips from millionaires on the clubhouse porch, while listening to expert commentary as the horses go through their morning workouts. À la carte breakfast served every race day: 7 to 9:30 a.m.
With rows of elegant houses dating from the 1800's and early 1900's, Saratoga is a condensed course in American architectural history. Pick up the ''Walking Tour of Saratoga's East Side'' brochure from the Visitor Center and take it all in. Stroll down Broadway, the hub of our city. The soul of downtown is its diverse collection of independent shops, galleries, restaurants and bars. Fashionable hats are a must! Check out the fascinators, or pick up a breezy Panama hat at the men's haberdashery in Hatsational. After a morning of walking, you deserve a relaxing lunch. You won't have to go far to find a nice spot with patio dining. The Salt & Char has massive and comfortable sidewalk-side seating. 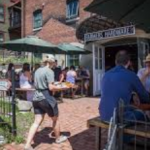 Along with excellent and diverse lunch (and dinner) items, it's one of Saratoga's best places for people-watching. Finish lunch early to make it to the Saratoga Race Course, the country's oldest thoroughbred track, by the 1 p.m. start time. Experience 40 days of world-class thoroughbred racing. Read the tip sheets, bet on your favorites, and cheer them on. Have yourselves a pre-dinner drink and appetizer at any of our famous bars and taverns. 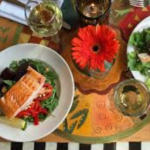 For authentic tapas and impressive Happy Hour selections, you won't want to miss Boca Bistro, located at 384 Broadway. Just look for the big pig! The atmosphere at the newly reopened and expanded Cantina Restaurant is modern and casual, and their Mexican food is exquisite. Their menu is huge and their margaritas are simply spectacular. Check out the lobster burrito! Saratoga Springs is a happening place where nightlife abounds. If you're here during July and August, SPAC is a must. Your visit is sure to line up with all genres of music, dance and special events in the acoustically superior amphitheater. Saratoga Springs is awesome, but so are the nearby communities. No need to rush out to fast food chains. Instead, take the short, pleasant drive to Ballston Lake and breakfast casually a Lakeside Farms. It's a country store, farmer's market and restaurant, open for hearty breakfast and lunch. Just north of Saratoga Springs in Wilton is an almost-hidden gem, the General U. S. Grant cottage, the final home of the beloved 18th president. Preserved for posterity are original furnishings and personal items which remain essentially unchanged since General Grant's death. Tradition continues for Saratoga Polo, located in Greenfield Center, slightly northwest of Saratoga Springs. Check out the fast-paced action on historic polo grounds from the picnic-style, family-oriented grandstand area, or enjoy a VIP package in the luxurious clubhouse. Gates open at 4:00 pm. 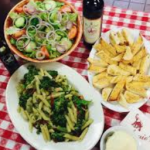 Augie's Family Style Italian Restaurant is just down the road in Ballston Spa. They are famous for their excellent service and their delicious entrees, all served "family style" in portions good for two or more. Take-out orders are also welcome. Route 9 in Malta is home to the county's only old-fashioned drive-in movie theater. Enjoy the charm of a double feature under the stars, grab some candy, pizza, popcorn or fountain beverages and bring the kids...maybe. Everyone from George Washington to Edgar Allan Poe has enjoyed Congress Park's naturally carbonated springs, once believed to have healing powers. While you meander through the park, have a ride on the carousel, take selfies with the statues, and sample the waters from 4 springs. Bring your camera to your visit to Yaddo, the historic 400-acre estate turned artists’ retreat. Whether you sign up for a docent-led private tour, or simply take a stroll, you'll see stunning gardens and statuary designed at the turn of the 20th century by Katrina Trask. There is no shortage of fabulous sandwich places in town, but if you want something international, memorable and completely original, order a Dough Boy from Esperanto. 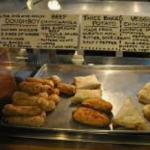 Dough Boys are a variety of fresh meats or beans, cheese, veggies and spices, wrapped in pizza dough and then baked. You'll get why they've sold over a million of them! Time for some wild adventure! Great whitewater rafting may be one of Saratoga’s best-kept secrets. Visitors can experience Class II and III rapids on the Great Sacandaga River, where there are waves to ride all day. Opening is weather dependent but is usually in full-swing by Memorial Day Weekend. ...and all that goes with clean, scenic waterways. Bring the kids to the lifeguarded Brown's Beach on Saratoga Lake, or head a bit north to Moreau Lake State Park's sandy beaches, campgrounds and fishing sites. We also have creeks, including Fish Creek, where huge rowing regattas take place throughout the summer. Scope them out! 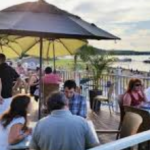 Saratoga County has many options for outside dining, but the perfect way to end your water adventures might be the modern twist on classic comfort foods presented at Doc Brown's on Saratoga Lake. Try their craft beers, or sip their artisan cocktails on their vast deck and take in the beautiful lake view! So many to choose from, you'll just have to come back soon! On your last day, Sweet Mimi's is a good one not to miss. You'll enjoy breakfast made from fresh and local ingredients, both sweet and savory, including vegan and vegetarian selections. Take out is always available too. Saratoga is a golfer's paradise with award-winning courses at every turn. From the pristine links at Saratoga National Golf Club to the unique landing strip at Airway Meadows, you're sure to find a course to suit your tastes. Our county is brimming with farms. Take home some of the bounty! Stroll through Saratoga's largest outdoor market, right in the city, to bring home succulent local produce, breads and baked goodies, cheeses, gifts, herbs and so much more. 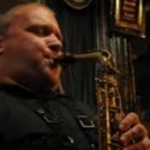 Pick up a lunch and enjoy the live music! Skidmore College is not just a highly-ranked liberal arts college, it's also a Saratoga Springs institution. Just a 10-minute walk from downtown you'll find the lovely campus and the Tang Teaching Museum, housing a diverse visual arts collection. The modern architecture of the museum is gasp-worthy. Open all year, noon-5 pm. with special exhibits changing monthly. We are so proud of our new, budget-kind bike share program, CDPHP Cycle! You just sign up for a PIN online, pick up a bike from more than a dozen stations and tour parts of Saratoga you've never seen before! We recommend a ride through North Broadway, where you'll see simply gorgeous mansions, and can enjoy the whole Skidmore campus. Hattie's Restaurant (formerly Hattie's Chicken Shack, but now so much more) is another place you won't want to miss. Hattie's has been named on several nation-wide "Best Fried Chicken" lists, and Chef Jasper Alexander actually beat Bobby Flay in a fried chicken Throwdown! Hattie's is a cherished Saratoga icon. One of Saratoga's newest venues is Saratoga Casino Hotel. Play one of the 1,700 slots and electronic table games, watch live harness racing, dance the night away at Vapor nightclub. It’s a safe bet you’ll enjoy your time here. For a complete list of events and more info, visit our events page. It's not all about summer. We accommodate is any weather! In fact, your off-season visit can be jam-packed with year-round activities, adventure, and a lifetime of memories! Located at 402 Broadway is Uncommon Grounds, a favorite all-day breakfast and brunch spot among locals and tourists alike. They pride themselves on brewing the highest quality beans, and serving amazing house-made bagels and sandwiches in a comfy, laid-back vibe. If you like to shop you'll really like downtown Saratoga. We've got everything from unique boutiques to national chains, antiquarian book stores to natural food grocery stores. Pick up some gifts, Saratoga's original olive oil, sporting goods and fashion accessories. How About a Healthy Lunch? 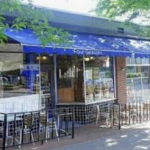 Around the corner from Broadway is a Saratoga Springs icon, The Four Seasons Natural Foods Cafe. Located at 33 Phila for over 25 years, the cafe serves only vegetarian and vegan food at its hot and cold buffets. The food is wholesome, unpretentious and 100% delicious! At every turn downtown, there is an antique shop or art gallery. We've got places to have your artwork purchases framed, and for the creative, a huge more-than-art-supply store, Soave Faire. The second-floor gallery houses original works of local art, while the main floor has gifts, office and art supplies, and even hats! There is absolutely nothing like holding the bound pages of a proper book. Thank goodness for Northshire Book Store, bringing back a place for kids and adults to browse a huge book collection, and shop for gifts for the bibliophile. As a plus, they can order almost any book you want! Just a few steps away from Broadway you'll step into the Far East! Sushi Thai serves the finest Thai cuisine along with the taste of Japanese cuisine, with plenty of vegetarian selections. The service is friendly and the meal is totally satisfying! Avoiding the bar scene? Bowling, Ballocity play area, bumper cars, food and more at Saratoga Strike Zone can do the trick. Not into the music and hubbub of the main room? Book the private VIP bowling lanes. Fun continues until at least midnight! 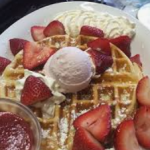 The Iron Roost is a gourmet waffles and coffee cafe and restaurant, located in the heart of Ballston Spa. They offer a variety of breakfast and lunch options that are homemade, from scratch, and locally sourced whenever possible. They also have entire gluten-free and vegan menus. That's right! Milton Ave. in Ballston Spa is home to the growing and spectacular Bottle Museum, housing over 2000 vintage and antique glass bottles, paperweights, and more. Stop in for demonstrations, and if time permits, take a glassworks class! If not, you must stop and see the friendly staff of Death Wish Coffee and pick up the world's strongest coffee beans, ground or cups. Though eye-opening, the coffee promises to be smooth and never bitter. Stop in Monday - Friday, 8-5. Make a stop this at Ellms Family Farm for a myriad of activities for kids of all ages. Visit the pumpkin patch, get lost in a huge corn maze. They have farm animals, a ropes course, rides, races and playground equipment. Santa visits by parachute in winter, and it's the perfect place to pick up the Christmas Tree! 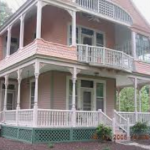 Round Lake, just a few miles south of Saratoga, is a lovely Victorian village that was once a Methodist Camp. It calls itself a "self-nurturing" community; you'll see why - with the homes cozily situated and their porches open and welcoming. You'll also notice that the sidewalked streets laid out for the most social, friendly and old-fashioned lifestyle. You Deserve to Dine Here! You'll be dazzled by the elegant dining space and exquisite food at the Lake Ridge Restaurant, right there in Round Lake. 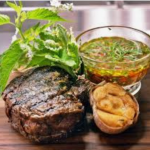 Start with a bottle from their extensive wine list, and continue on with small plates or New American entrees. Finally, linger over one of 30 scotches and 30 bourbons! 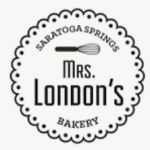 Mrs. London’s is a boutique bakery and cafe located right on Broadway. You won't forget their extensive repertoire of breakfast items, pastries, desserts. They are gorgeous to look at and irresistible to order! Open 7 am-6 pm. For a great history lesson, follow the official 10-mile tour road within the 3000-plus acre American Revolution battlefield. You can take guided or self-guided tours and watch re-enactments year round, or freely drive, walk or bike through the grounds just for the beauty of it. Often, getting lunch to go fits right into a day of outdoor activities. 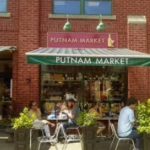 Putnam Market, 431 and 435 Broadway, can fix you up with artisan sandwiches, soups, salads and a selection of gourmet grocery items. Did I mention they sell wine too? Plus, you can order online for carry-out or delivery! Skidmore is not just a highly-ranked liberal arts college, it's also a Saratoga Springs institution. 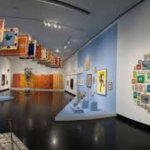 Just a 10-minute walk from downtown you'll find the lovely campus and the Tang Teaching Museum, housing a diverse visual arts collection. The modern architecture of the museum is gasp-worthy. Open all year, noon - 5 pm. with special exhibits that change monthly. It's comfortable, romantic, warm and historic! The Olde Bryan Inn is a stone house dating to the early 1700s and still holds the charm of the past. Have a draft ale at the rustic tavern during "Appy hour" and order a wonderful dinner at a fireside table. Possibly the most intimate place to wrap up a day of fresh air activities is 9 Maple Ave, a tiny, 40-seat jazz club with a huge selection of martinis and an awe-inspiring inventory single-malt scotches, bourbons and rye whiskies. You'll be best friends with the stranger next to you by the second drink. Absolutely, it's brunch at Farmer's Hardware on Broadway. This hip eatery can be found in a former hardware store dating back to 1925. The menu is unique and diverse, with creative entrees and sides you can experience Wednesdays-Sundays, 9 am - 2 pm year round. Try the house specialty, Eggs Shorty. Forgotten when the last time was you've all had a chance to just play? 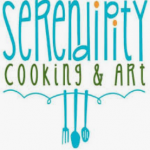 Time to get creative with a cooking or art class at Serendipity Arts Studio, take home your own one-of-a-kind painting at Saratoga Paint 'n Sip, or create a memento by painting pottery, making a mosaic or fused glass at Creative Sparks. Roll up your sleeves and get your hands messy! Once warm weather sports are out of season, the rest of the year's fresh-air fun immediately kicks in. Pick a day for skiing, snow-shoeing, ice fishing, apple picking and leaf peeping, and some breathtaking hikes for all skill levels. Take a lesson, rent equipment, enjoy nature; we really have it all! Light fare is always available at Scallions Restaurant on Lake Avenue. It's a colorful, casual place offering specialty meat, poultry and seafood, hearty salads and soups. Check out their cocktails, and browse through their gallery. Saratoga's resident theater company, Home Made Theater, produces a four show season, between October and May. 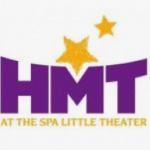 Come watch child actors and local stars perform holiday specials, comedies and dramas at Spa Little Theater, right in Saratoga Spa State Park.